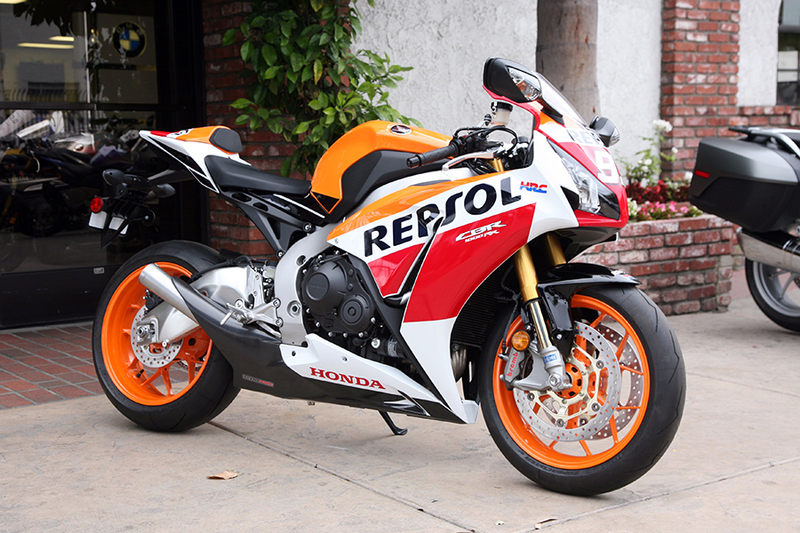 All-new Honda CBR1000RR GP2 exhaust. 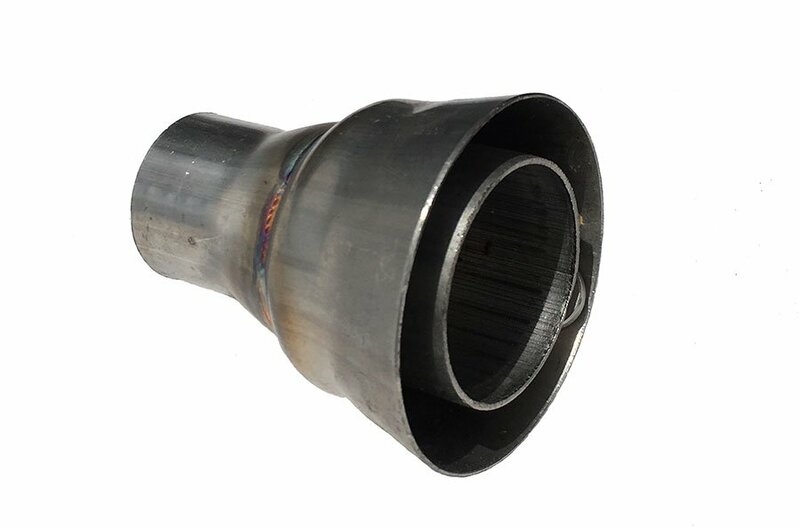 Moto GP-styled cone muffler in stainless or black with integrated carbon fiber trim. Fat 9 lbs weight saving over stock. Growly note, but max 104DB. 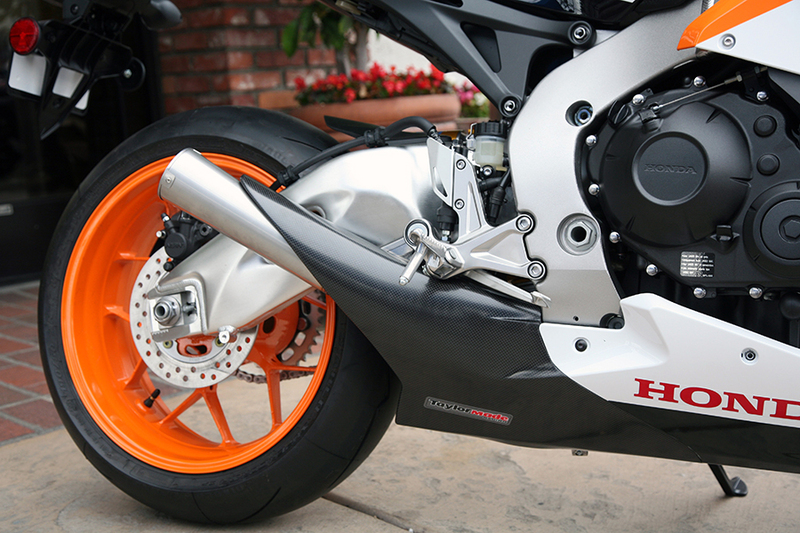 Easy-fit Honda CBR1000RR GP2 exhaust system slips onto stock downpipes. Includes muffler and carbon fiber trim. 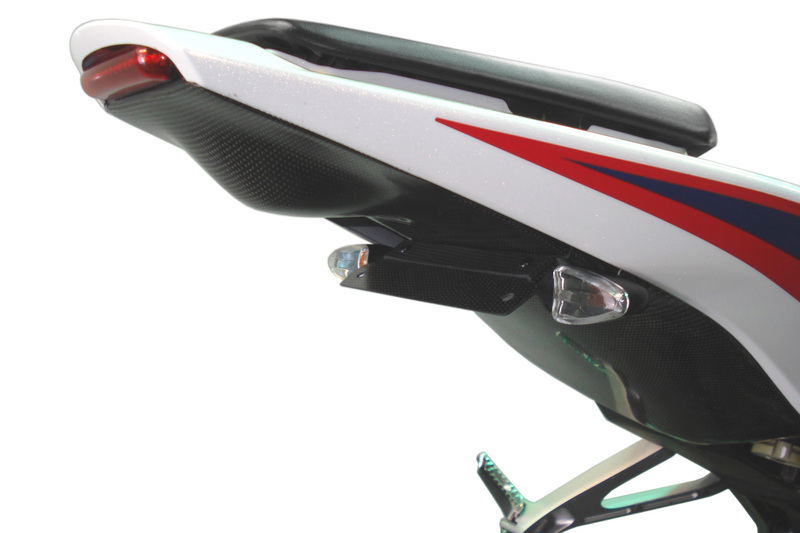 Introducing the first in our GP2 series, the gets an updated MotoGP look inspired by Marquez’s all-conquering RCV213V. 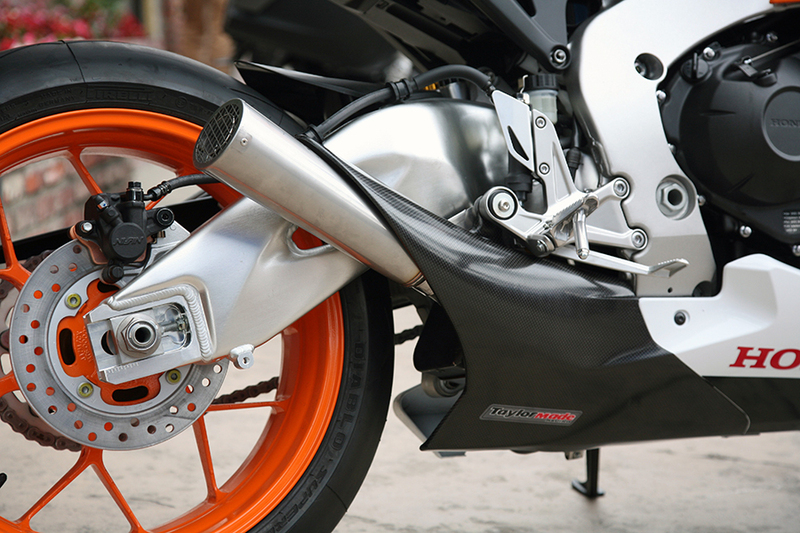 Sharper Style – Our Honda CBR1000RR GP2 exhaust features a short slim cone exiting aggressively from the offside of the bike. 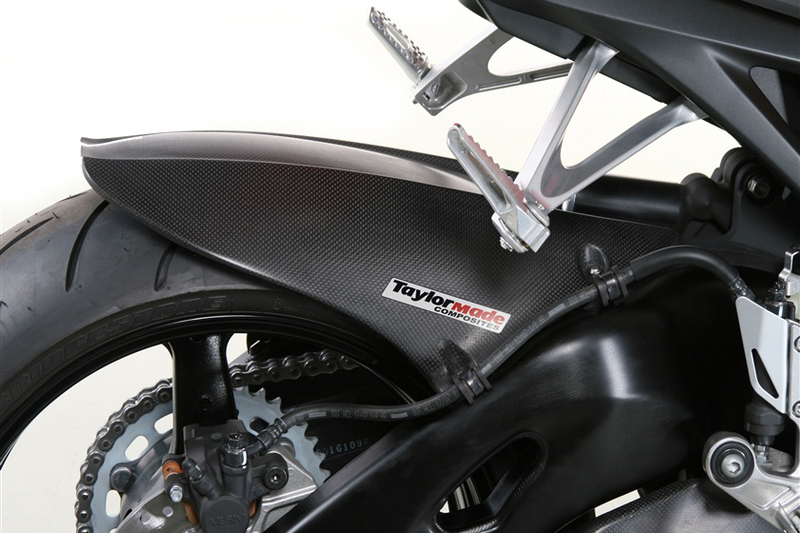 The Honda CBR1000RR GP2 exhaust includes TaylorMade Racing’s signature carbon fiber panels, fully integrated with the swoopy Honda factory bodywork. Available with a stainless steel or satin black finish cone. 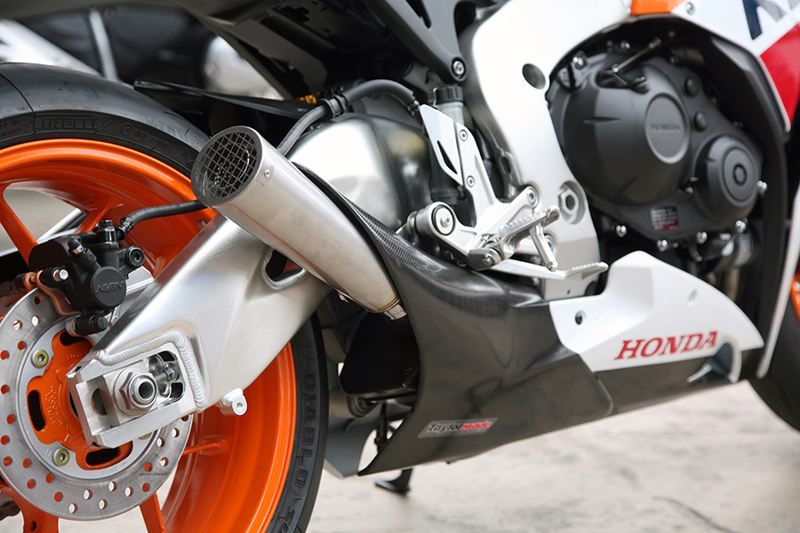 Power Boost – TaylorMade Racing’s Honda CBR1000RR GP2 exhaust uses a dedicated dual-chamber riveted muffler which is easily mated with the stock downpipes. 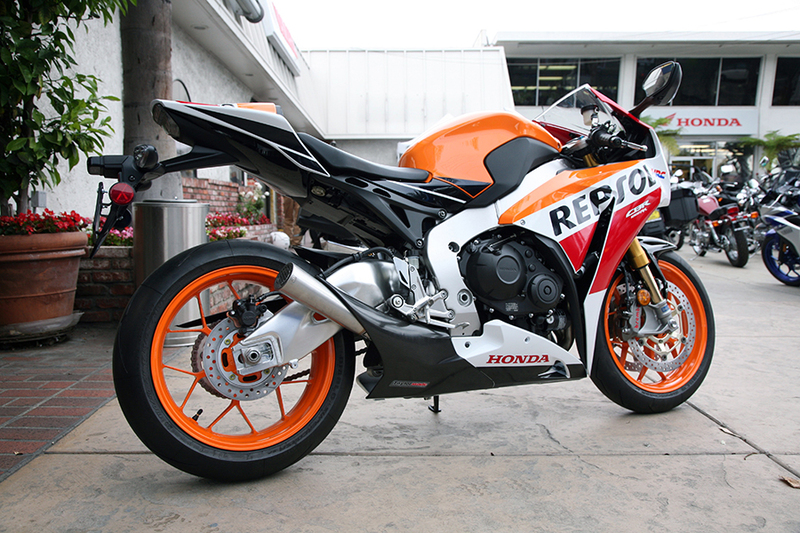 The Honda CBR1000RR GP2 exhaust looks gives a punchy 3hp power boost in the midrange and 2hp at the top end. 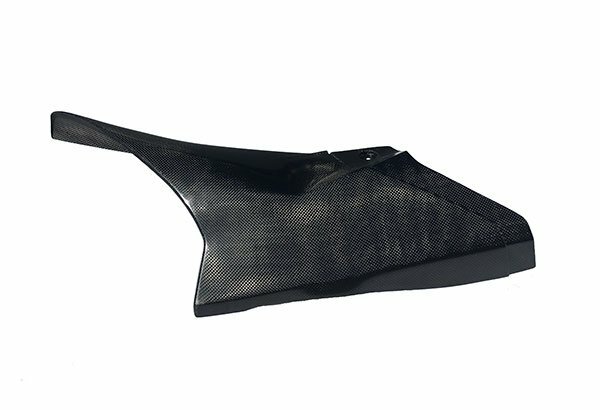 Lighter, Quieter – All that carbon fiber produces a skinny 9lb weight saving over stock. And the growly note of the Honda CBR1000RR GP2 exhaust is designed to give fun, not offence: Max DB is 104, 102 with the optional DB Killer fitted. All American – Like all TaylorMade Racing products, the Honda CBR1000RR GP2 exhaust has been designed, developed and is hand-made from US-manufactured components in our California factory. 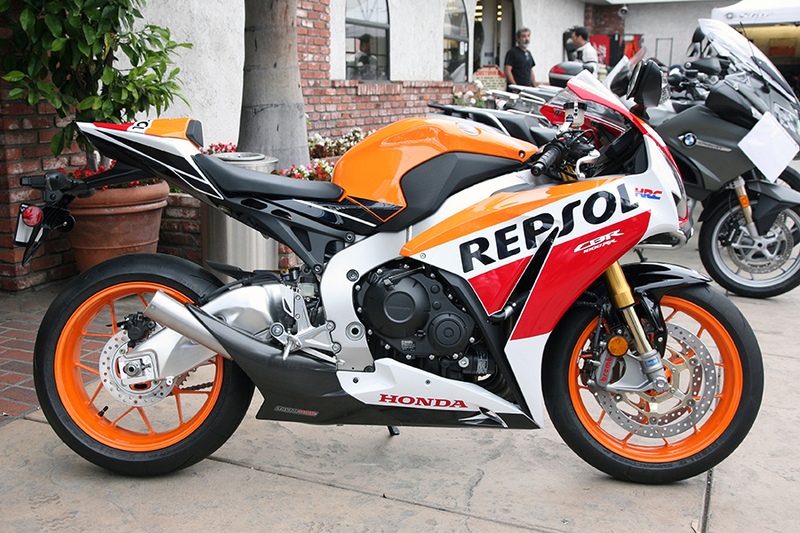 I’d like to compliment you on the slip-on exhaust pipe I’ve installed on my Repsol Honda 1000. I purchased the pipe because I thought it looked cool. After installing it myself, I really enjoyed the sound and performance upgrades it provided. It’s just loud enough so other drivers can hear me, but not so loud, the police bother me. 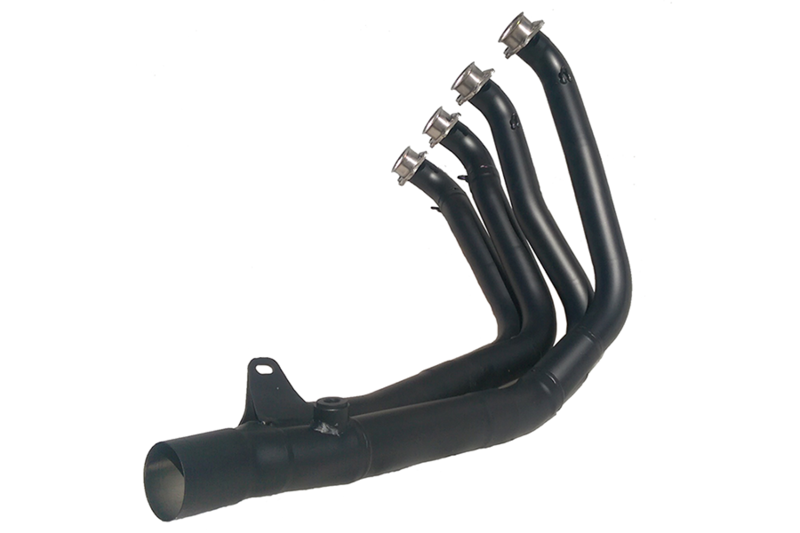 As for the performance, I was thinking about buying a full header, but you lose low-end torque. I didn’t want this on my street bike because of all the stopping and starting I have to do. Your pipe really improves getting off the line, mid-range, and a some high-end also. Everyone who sees my bike tells me they love the style of the pipe and the carbon fiber exhaust shroud that comes with it. I’m not very mechanical when it comes to working on vehicles. While following your video, I easily installed your pipe and Dyno Jet tuner. And once I did, the electronic mapping you provided made the bike run perfectly. I want to thank you again for your great product and excellent customer service you’ve provided since I made the purchase. I highly recommend that anyone looking to improve the looks and performance of their bike to try your products without having to spend a lot of cash. They’ll get a lot for their money, and won’t ever regret the purchase.